Be Yourself, Together: Why I loved my BFF's bachelorette party, and a #TargetWedding $25 giftcard giveaway! ENDS 11/5!!! Summer, aka wedding season, can get very busy. Even if you only have a few weddings on your calendar, there are a lot of pre-wedding festivities for each couple, like the engagement party, the wedding shower, the rehearsal dinner, and so on. -Her favorite cupcakes from Cupcake Jones on a tiered serving plates! (Coincidentally, they're my favorite too...) The cupcakes wouldn't last too long, but the plates would be good for the annual 3rd of July Party that she and Eric host! -A Keurig! After a night of martinis and brews, we definitely needed a bit of coffee in morning. Target would like to give one Lipgloss+Spandex reader a $25 Target gift card! YAYYYYY!!! 1. Show Target some love and visit the Target Wedding Catalogue and the Target Wedding Registry! 2. Leave a comment telling me which of the three Target products in this post is your favorite. Rules: US residents 18 years of age and older. Must respond within 24 hours with a valid mailing address for a gift card, or a valid email address for an e-giftcard. Contest ends 11/5 at NOON Pacific time. 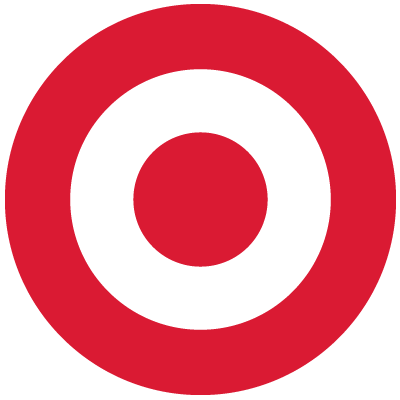 Disclaimer: Content and/or other value provided by our partner, Target. This might be my favorite blog post EVER!!! Thank you for helping make my night so epic and perfect! While I want all of these fabulous Target items, I think my favorite is the Panasonic Lumix point and shoot camera. I love taking pictures, and this seems like the perfect camera to carry with me everywhere! I like Keurig. Perfect for all events. The Keurig Vue V500 Brewer is my favorite, who doesn't enjoy a good cup of coffee in the mornings? You cannot go wrong with this product. I like the tiered serving plates. My favorite is the Keurig coffee maker, can't go wrong with coffee. The tiered serving plates are my favorite.